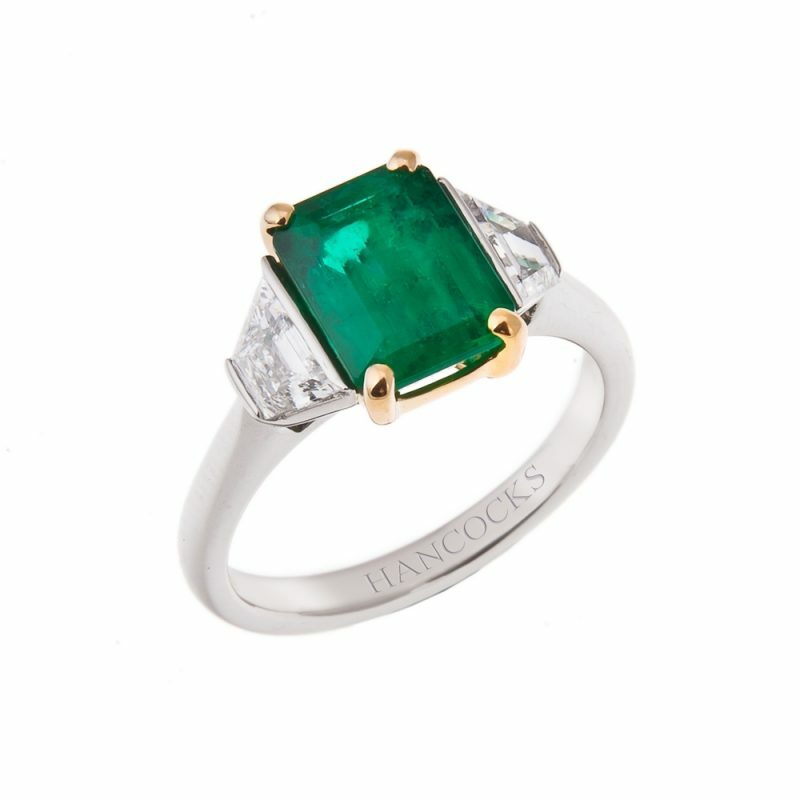 The lively luminosity of this emerald and diamond 3-stone ring will take your fine jewellery collection to the next level. 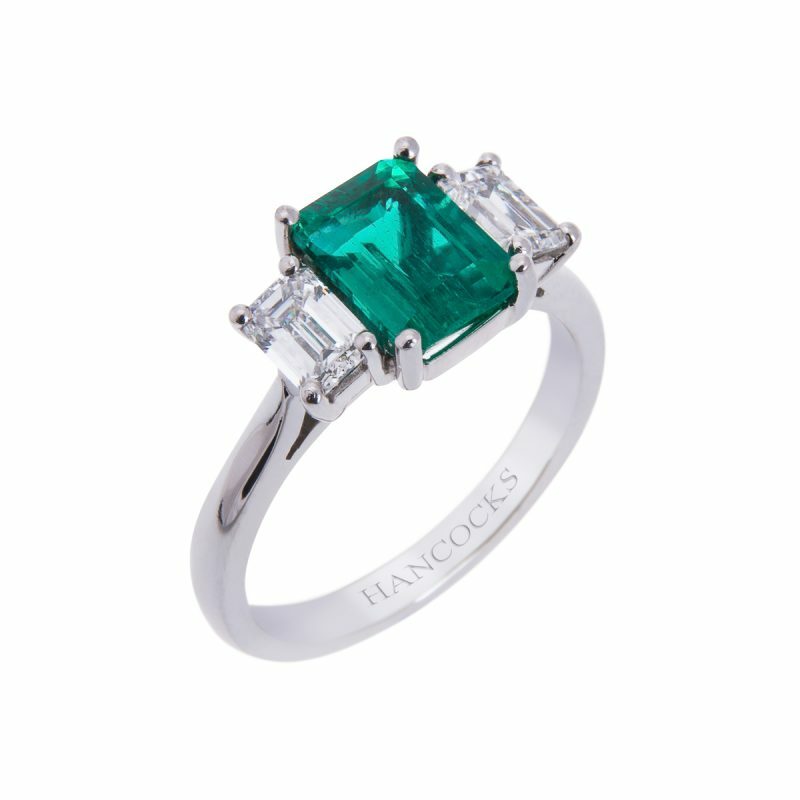 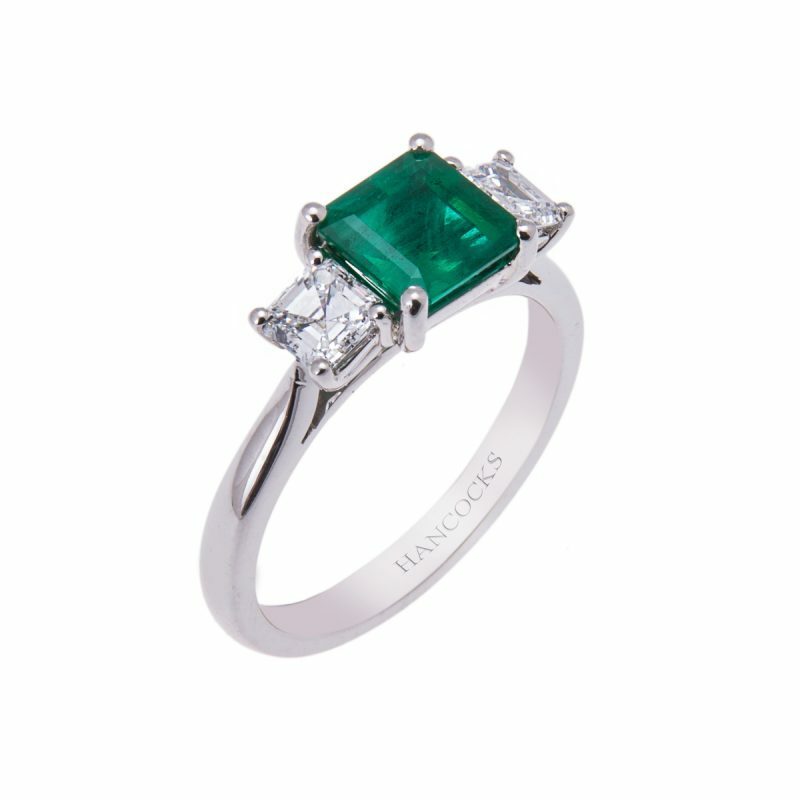 An accent of intense vivacious green highlights the centre stone which has been complimented by over half a carat of emerald cut diamonds, to give it that extra sparkle. 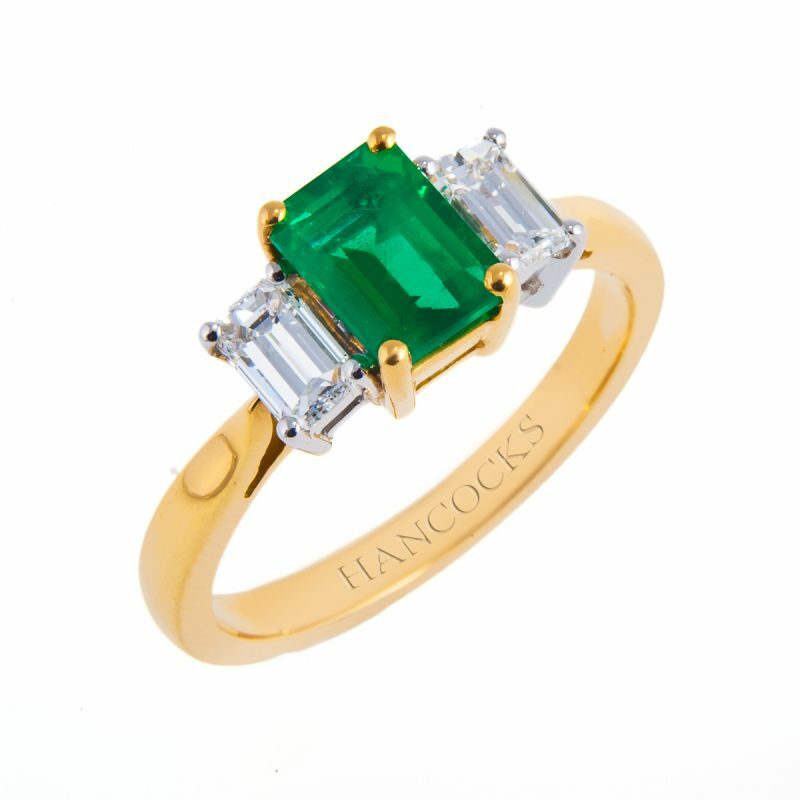 Mounted in an 18ct gold 4-claw setting this beautiful ring is sure to attract compliments where ever its worn. 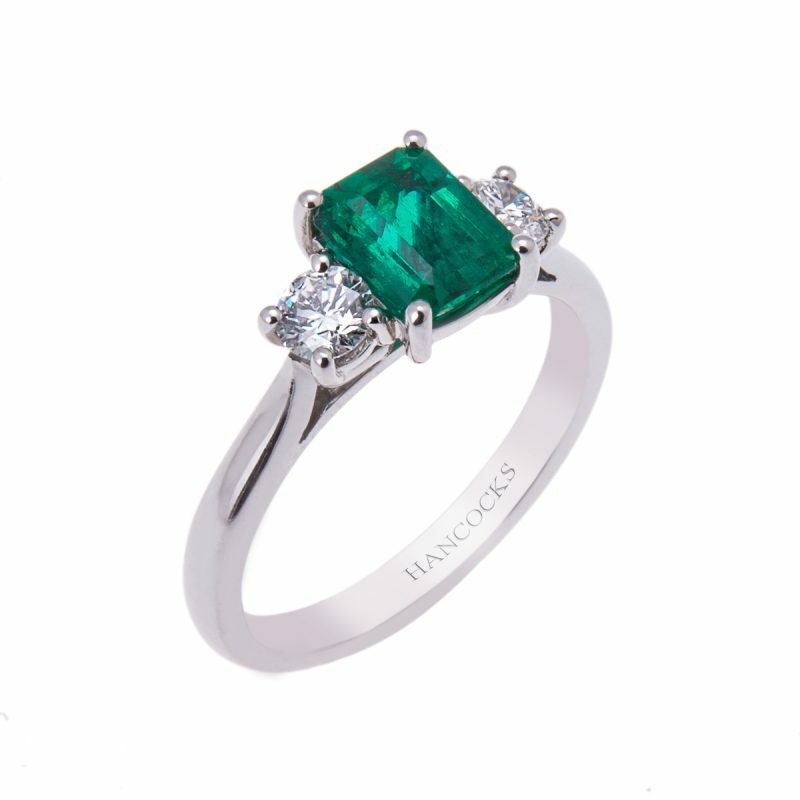 This fascinatingly beautiful green stone promises good luck and well-being.